From snowmobiling to mountain biking, it’s easy to work up an appetite at Evergreen Resort. That’s why we have two on-site restaurants to satisfy all your daily cravings. Enjoy gourmet meals from Roasted Prime Rib and Baked Mac and Cheese, to Two-handed Burgers and sharable small plates in the Terrace Room or Curly’s Sports Pub. 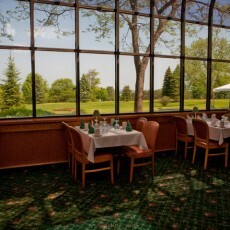 The Terrace Room offers great views of the Evergreen’s property with Cadillac in the background, while enjoying a little more formal experience. Open for dinner May – October. Our complimentary breakfast buffet for all house guests is served daily: Weekdays 6:30 a.m. – 9:00 a.m. & Weekends 7:00 a.m. – 10:00 a.m.
*Prices do not include beverages and are subject to change. For our guests looking for a more relaxed environment, Curly’s Sports Pub offers the pub feel with casual seating and 4 big screen TV’s with the latest sporting events in Hi-Def. Open daily for lunch and dinner, year round. 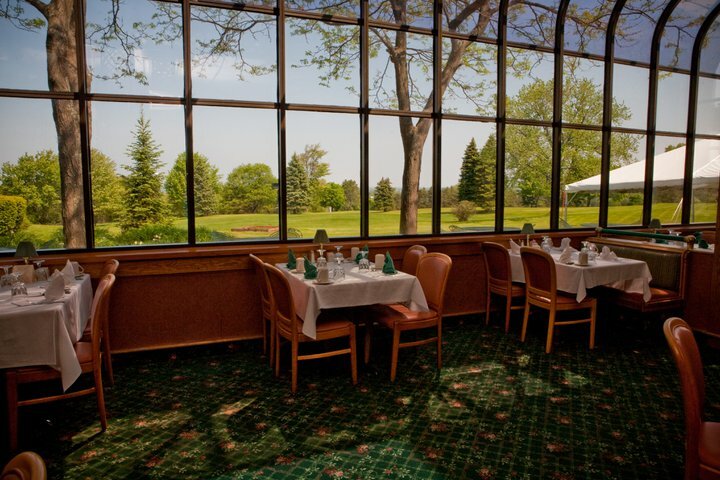 *For events: The Terrace Room accommodates up to 160 guests and Curly’s Sports Pub fits 80. If you are looking for more space, our meeting rooms can be set up for your event. Call us at (800) 634-7302 to discuss capacities and availability. VisitCadillac.com - Cadillac, Michigan - Lodging, Recreation and Travel Guide - produced by North Guide Internet.